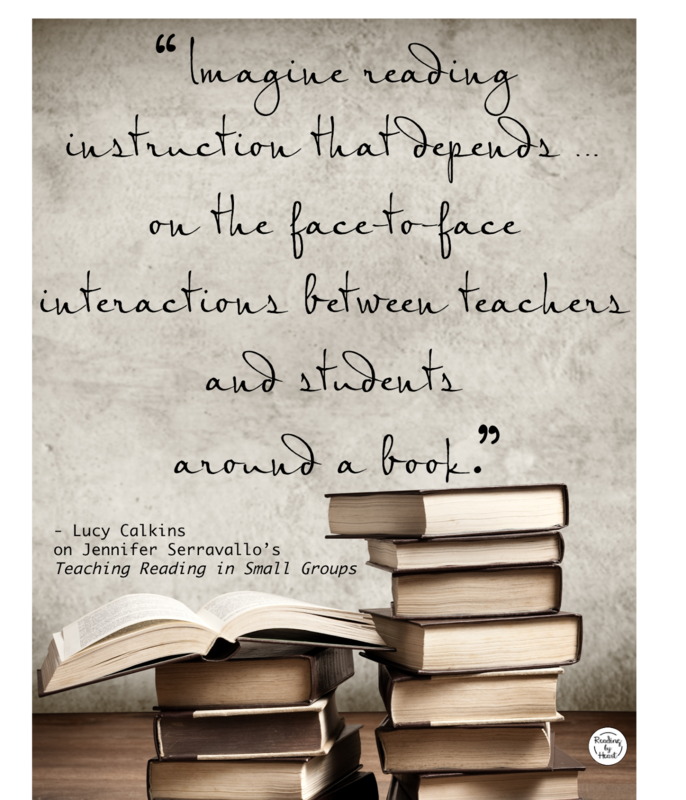 Jennifer Serravallo imagines both. She shows us how in this chapter on Fluency. Some readers thrive on performing. Others learn best in small, intimate settings. Teaching fluency in small groups allows us to match our teaching structures to our individual readers. We can teach toward independence by releasing support across the course of a lesson and over time. Jennifer lets her voice fade out when reading along. 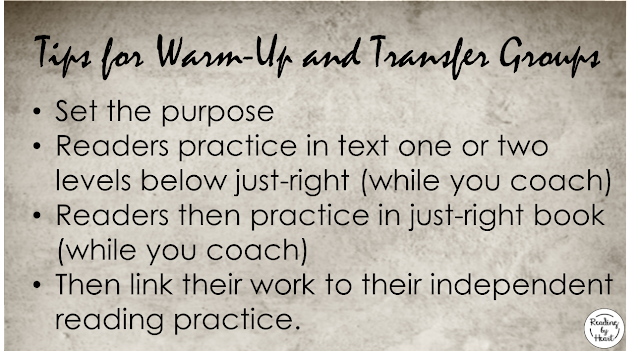 She models for her Warm-up and Transfer groups how to warm up on their own when they're reading independently. In the performance clubs, she teaches her readers to practice on their own multiple times during the week. 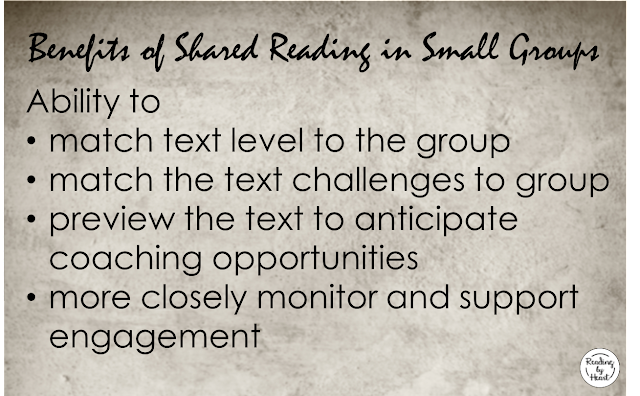 Stating up-front the goals of the group and staying focused on those goals helps small-group readers develop the skills to read proficiently. 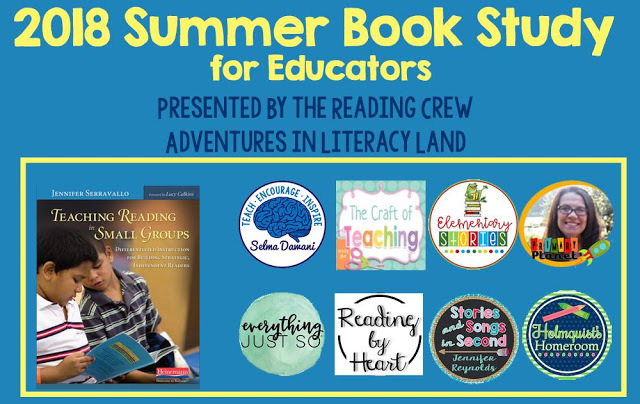 Jennifer shows how to reengage readers who might be losing attention or drifting off. Readers in small groups practice fluency skills by reading easier-level books, poems, songs, and scripts. 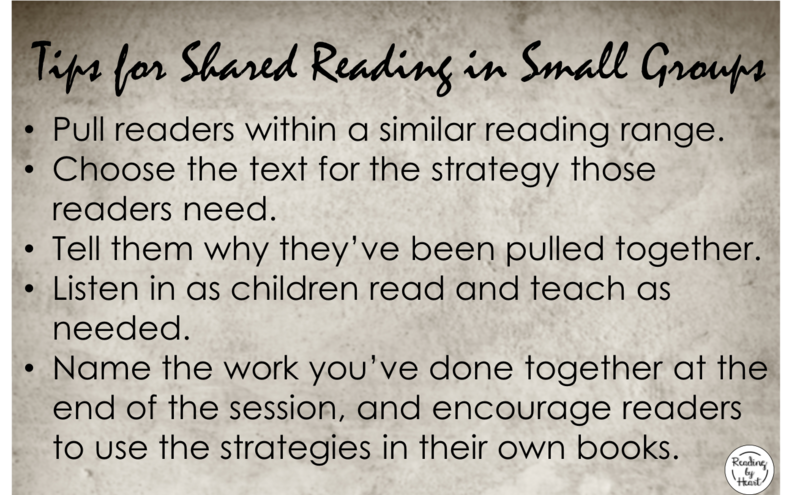 The structures of shared reading, warm-up and transfer groups, and performance clubs follow predictable routines and allow readers to return to the same kind of group again and again over time. "The children started to experience the power and celebrate the success of reading in ways that they hadn't in perhaps some time." 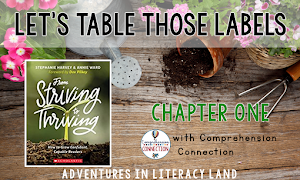 Jennifer defines the meaning and value of fluency instruction for her readers. Fluency instruction should not just focus on how fast readers can read. Instead, instruction is guided by the principle of linking readers' understanding to their fluent reading, and vice versa. Fluency instruction does more than just aim to help readers "sound good." 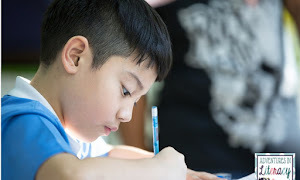 The goals of fluency instruction are centered on helping readers become more expressive so they can better understand their reading, and to help them better understand what they're reading so they can become more fluent and expressive readers. Fluency, accuracy and comprehension are linked. readers can read for understanding. Many older striving readers struggle with dysfluency caused by decoding difficulties. It can sometimes be difficult to find a text easy enough to be several levels below a student's just-right level - the best reading level to practice fluency. Many striving readers - even after we've helped them develop expressive fluency skills - still struggle to be fluent when coping with new text they're unable to decode. Shared reading was designed to simulate the experience of a child sitting with a parent while the parent reads aloud. Parent and child look at a book together, holding a shared text, and stop to respond to areas of interest. Shared reading was developed by Donald Holdaway (1984) and written about by Barbara Parkes (2000), Sarah Daunis and Maria Iams (2007), and others. Typically a whole-class structure, Jennifer demonstrates how she uses shared reading in her small groups. She creates a group who are at similar reading levels and need similar skills. She gathers her group around a enlarged copy of a shared text - a big book, chart, or overhead projection. She reads aloud with the students, dropping out as they develop proficiency, and to hear their strengths and miscues. Students read aloud with and without teacher support. She offers coaching tips and compliments. She reads with the whole small group, sometimes listening in to and coaching with individual readers within the small group. Then she sends readers to read their independent books, reminding them of what they've learned to encourage transference. I recommend Serravallo's very useful chart - Figure 6.2, Coaching Prompts for Fluency - on page 163. In this graphic - "If the reader is... Then I might coach by saying..." - the author gives us several prompts for responding to a variety of student fluency issues. One challenge we face is helping our readers retain and transfer skills learned in small group to their independent reading. Warm-up and Transfer groups is one structure the author uses to promote transference of skills. Jennifer cites research that shows the benefits of having readers practice with a "too-easy" text and then move to a just-right text. It's easier for readers to understand the meaning of text that carries no decoding load and increases confidence as they train their brains to read fluently and expressively. She has her small-group readers read "too-easy" texts aloud, while coaching them as they go. Then, she sends them off to practice independently what they learned in their "just-right" books. Jennifer expands on this idea with her Performance Clubs. 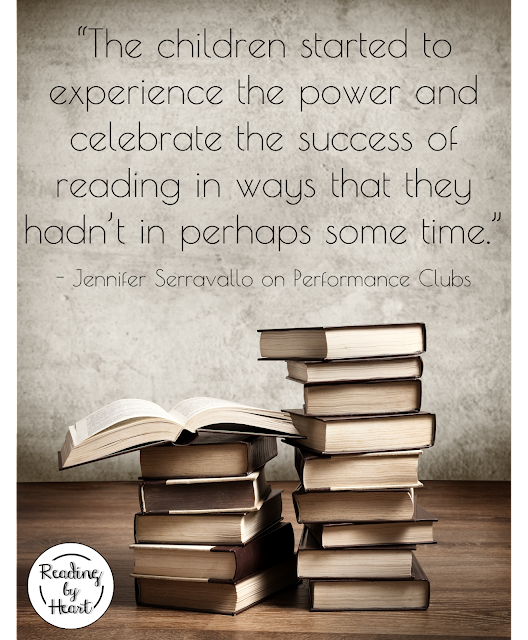 She invites her small group readers to consider joining a "performance club." These self-selected students each have a copy of a shared text, practice together and at home all week, then perform their reading for the class at the end of the week. Some readers find reading to be intimidating and challenging. Instead of giving up or checking out, readers who thrive on performing often find themselves energized and enthusiastic about their reading. Shared reading, warm-up and transfer groups and performance clubs are three ways we can help our small-group readers become more fluent. Meeting in small groups and coaching individually as needed within those groups helps us learn about our readers, their strengths and strivings, and the stuff that fills their pockets. 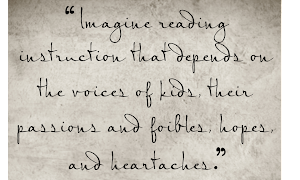 Being able to read fluently enhances our readers' comprehension, confidence, and overall skill. I've written about an effective method of decoding multisyllabic words for older readers. You can read about it here, or find materials for teaching your readers to decode multisyllabic words here and here.